With A Good Maintenance, How Long Do Motorcycles Last? Most riders want to make the most out of their bikes. The only exception is those who have the extra income to invest in a new motorcycle whenever they get tired of their old one. Whether you own a motorcycle or you are looking to buy one, you should understand the average lifespan of a bike. 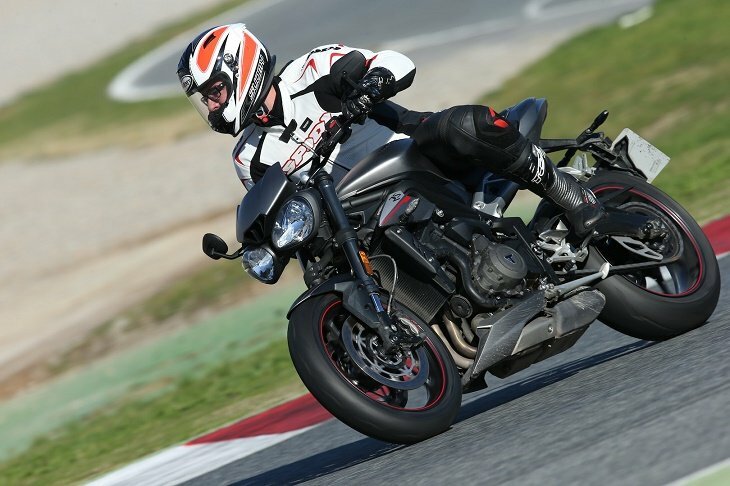 This guide has answers to any rider who finds themselves asking ‘how long do motorcycles last. This is a concern for most riders, especially when they think investing in a bike won’t be worth their hard-earned money. It is also one of the reasons inexperienced and new riders constantly try to buy and sell motorcycles before they go over the prescribed mileage limit. Almost every rider you’ll come across fears the number 20,000 – the mileage at which your bike is supposed to last up to. Once you hit this number, you should simply forget about trying to offload your little speedster and start planning to a new bike. However, this is a common myth in the marketplace designed to keep you changing your bike every few years or so. If it was true, none of the riders you see gleefully mounting their bikes and speeding off would be on the road. What you need to know is that the bigger and more modern the engine, the longer it is going to last. Therefore, a small 250cc engine on a 1995 Kawasaki Ninja will only last for around 20,000 miles before giving out. On the other hand, a 1000cc Honda CBR1000RR made in 2011 will last you up to around 100,000 miles. One of the sure-fire ways to extend your bike’s lifespan is to properly maintain it. To do this, ensure you change the oil regularly using pure synthetic oil, keep your bike in the best condition, and always protect it from weather changes. This way, your motorcycle’s engine will last long and the bike won’t lose its original luster. Another factor that determines how long your motorbike lasts revolves around how you handle it on the road. Driving a bike aggressively inadvertently means that you are going to need a replacement sooner rather than later. On the other hand, driving your bike to and from work on a daily basis on the smooth highway connecting your home and your office will ensure the bike lasts longer. Compare that with a situation where you rip through tiny city streets, constantly accelerating and braking in short bursts. In such a scenario, your motorcycle won’t give you many years of service. To this end, riding your old bike like a madman everywhere you go, failing to change the oil on a regular basis, or keeping it in full view of the elements will only destroy your bike. The sensible thing to do would be to take good care of your bike so it gives you better service. Clean all the parts, change the oil, ride sensibly, and use high-quality gas. This is the only way to get anywhere between 50,000 and 100,000 miles (or even more) out of your motorcycle. As mentioned above, the lifespan of your motorcycle depends on many things. Today, the bikes that are being released into the market are better than ever before. The materials, the design, and the overall looks are more precise and accurate. Reliability has also been improved. Treat your bike well when you first buy it. To do this, ensure you follow the guidelines in your owner’s manual on breaking it in. Similarly, get your bike serviced every 600 miles or so. Depending on the motorcycle model you have, you should lubricate the wheel bearings, suspension linkages, swing arm, and steering head bearings. Always monitor the wear and tear on the chain and sprocket, the belt cracking and tension, as well as the rear-drive housing. Similarly, ensure that the chains are clean, properly adjusted, and lubricated. The primary chain cases and transmission on your motorcycle probably have separate oil supplies. As such, you should check the levels constantly and change the lubricant on each. Riding/parking in the rain and washing your bike will corrode the brake parts, leading to overheating, dragging, wear and tear. You can correct this by occasionally changing the brakes and tires, as well as getting the parts inspected for leakage, sticking, and corrosion. Cleaning these parts will also get your braking system back to normal working conditions. Where possible, get your bike checked to see if it needs a valve adjustment. By so doing, you will improve the performance of your motorbike and prevent engine failure and burned valves. Failure to take good care of your bike means that you’ll need to deal with breakdowns and deterioration (or even the denial of the warranty from the manufacturer). Therefore, you should always get your bike serviced – paying particular attention to the oil changes and the air filter. Although you might be attached to your bike, you can be sure that it will only last as long as you keep on taking good care of it. The first step to doing this is asking “how long do motorcycles last”, finding the right answers, and taking the steps required to make your bike perform even better as it ages. Over and above everything else, remember that the better you take care of your bike, the longer you are going to be able to comfortably, safely, and economically ride it. Use the advice, tips and tricks in this guide to ensure your motorcycle lasts long. Next Article How Long To Charge A Motorcycle Battery When You Revive It?